Gold is widely distributed throughout Vermont, but not in quantities that have been economically viable for large scale mining. 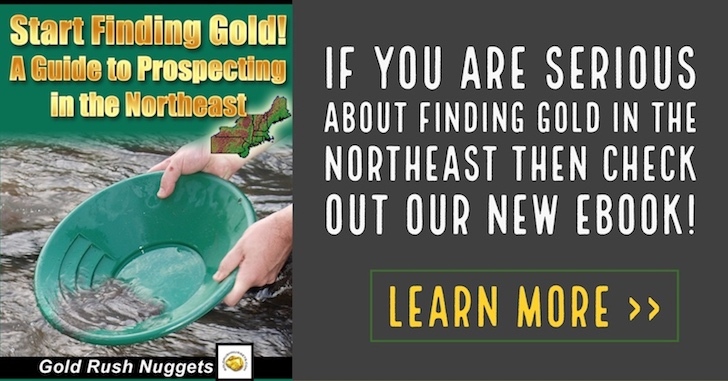 Farmers in Plymouth, Vermont discovered placer gold in Broad Brook, and worked the nearby creeks for a short time until they realized the small amounts of gold they were finding didn’t pay as well as farming. Gold has since been found in a number of creeks and rivers throughout the state, and although not in large enough quantities to attract much interest for commercial endeavors, they still produce small amounts of placer gold for the hard working prospector. Most of the gold found is in the form of very small flakes and little pickers; don’t expect to find large nuggets. Basic placer methods like panning and sluicing will probably be your best bet for recovering the small gold. Gold has been found in the following counties in Vermont; Addison, Bennington, Chittenden, Lamoille, Orange, Orleans, Rutland, Washington, Windham, and Windsor counties. Of course, gold will not be found in each and every stream within these counties, so further research and prospecting will help you in your search. Below are a few specific areas that have reported some amount of placer gold. 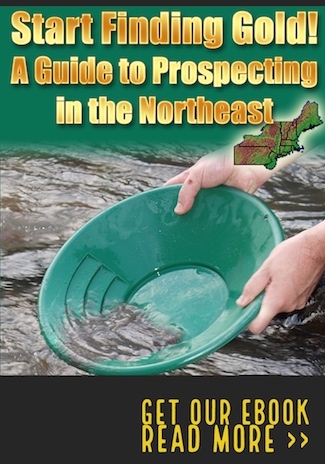 Keep in mind that many of the gold bearing streams and rivers in Vermont are on private land, and landowner permission is required to do any type of prospecting. In addition, the state has certain requirements and limitations that should be considered before heading out. Although basic gold panning is allowed in most areas, using larger equipment like sluice boxes and dredges may be restricted or prohibited depending on the size of equipment and the amount of disturbance to an area. Seasonal restrictions may also be in place, so be sure to check with the Vermont Department of Environmental Conservation for current laws and regulations pertaining to gold mining in Vermont.